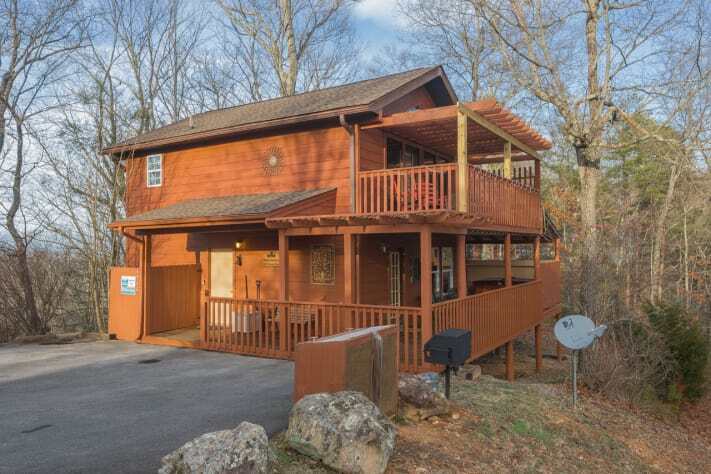 Escape to your own mountain top cabin with serene, beautiful views. 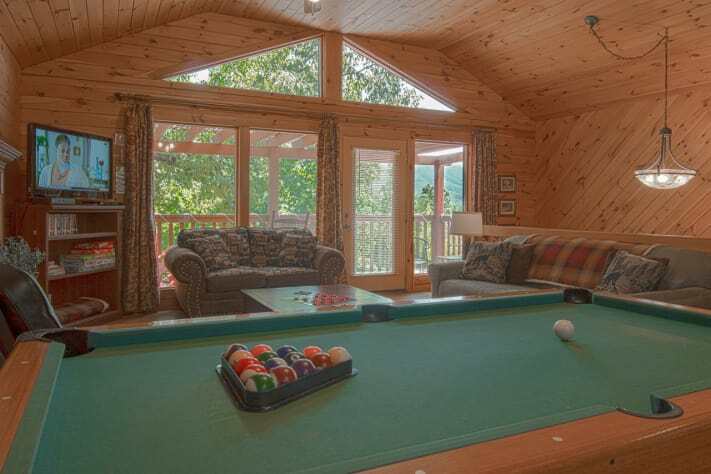 MountainView Haven is a hand-crafted, 2br cabin ONLY 2.5 MILES FROM THE PARKWAY but you'll feel like you've discovered a secret hideaway at this charming getaway in the smokies. 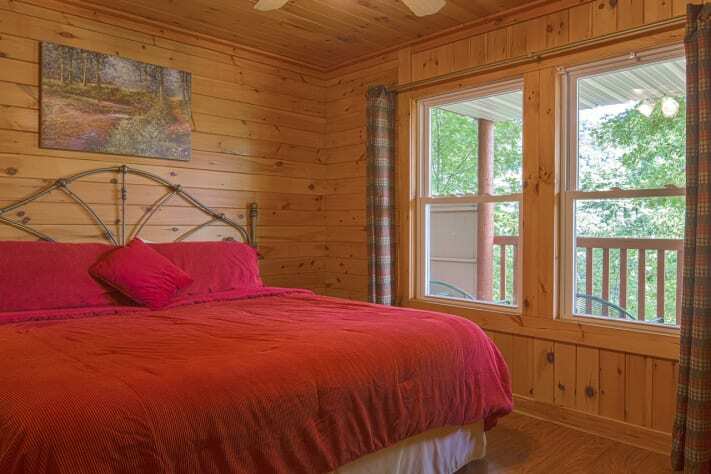 This PET FRIENDLY cabin is very well maintained by the owners. 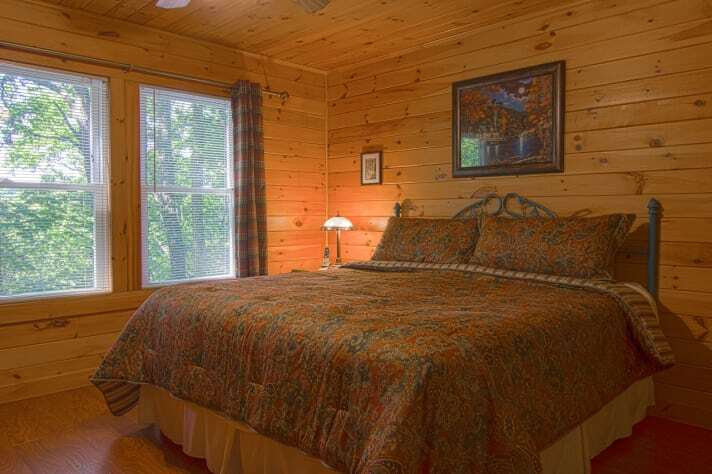 Recent improvements include a new recliner in the living room and two commercial pillow-top king beds for a good night's rest! 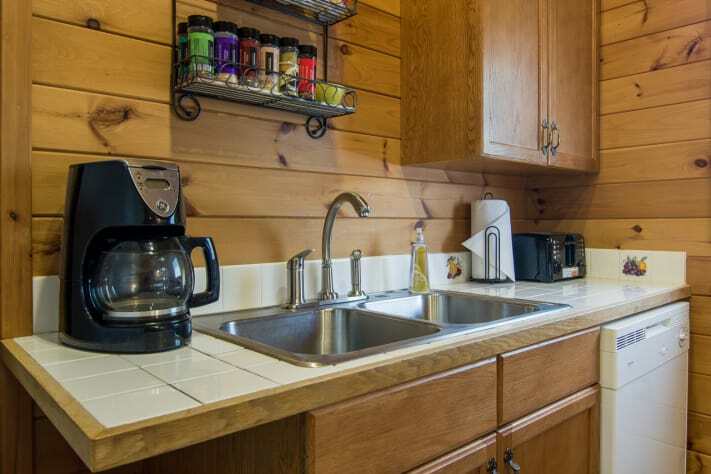 WIFI is available at MountainView Haven but it is not unlimited service (like you would have with a cable modem). Up on top the mountain, internet service is limited to satellite or cellular, so we have a Verizon wireless 3G/4G WiFi hotspot . Password protected for your security. PLEASE NOTE: our wireless internet service is on limited bandwidth so you won't be able to stream video, watch Netflix or do online gaming. 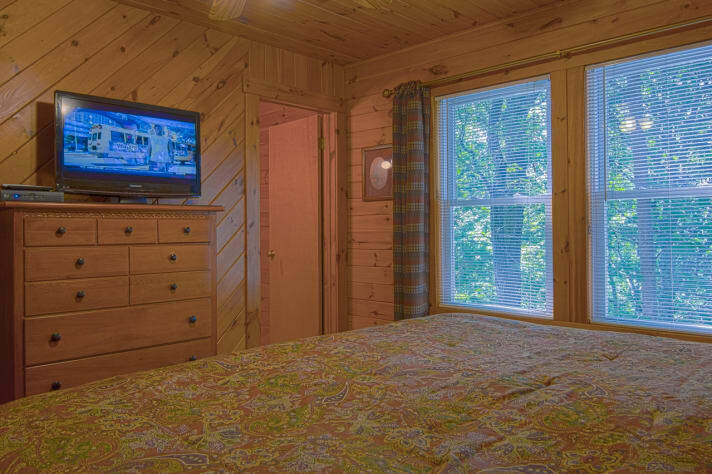 Each guest stay receives 2GB of bandwidth, which is typically enough for moderate surfing and checking emails. If members of your family or party need unlimited service, the hot spot won't be adequate and you may incur overage charges. 'Wish our stay could have been longer! Everything is what we expected--and more.' The Matthews, Ohio. 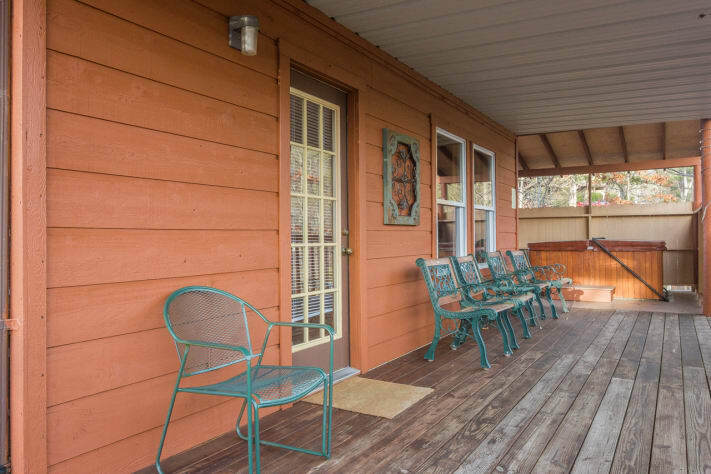 Two LARGE KING BEDROOMS are found on the entry level along with two full baths. 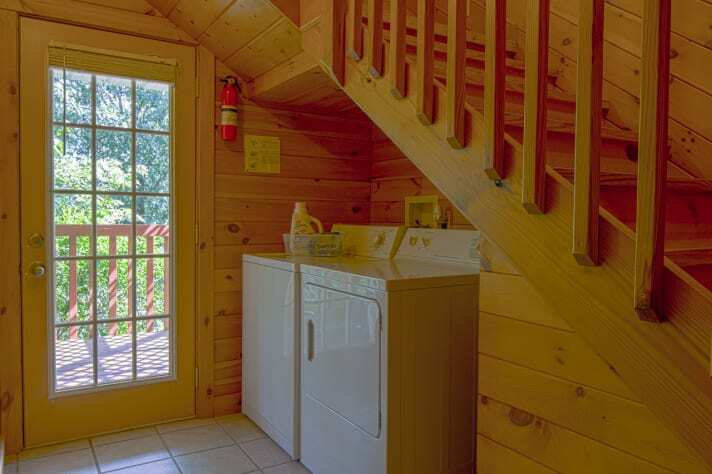 A full size WASHER AND DRYER is just outside the bedrooms in the hallway. 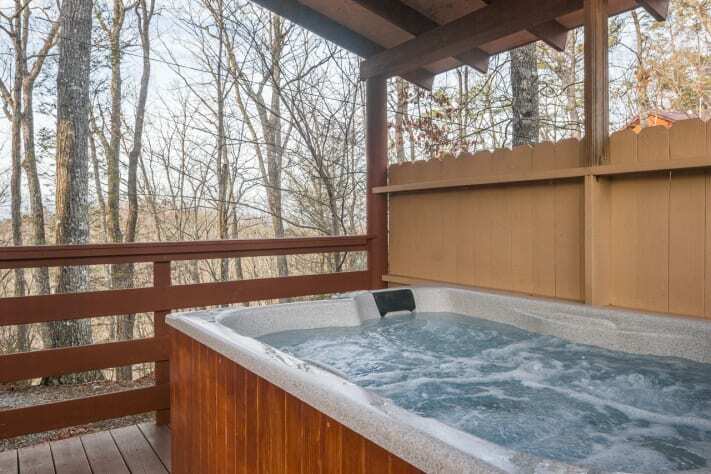 A PRIVATE HOT TUB WITH ROOF OVERHEAD has access from the lower level. 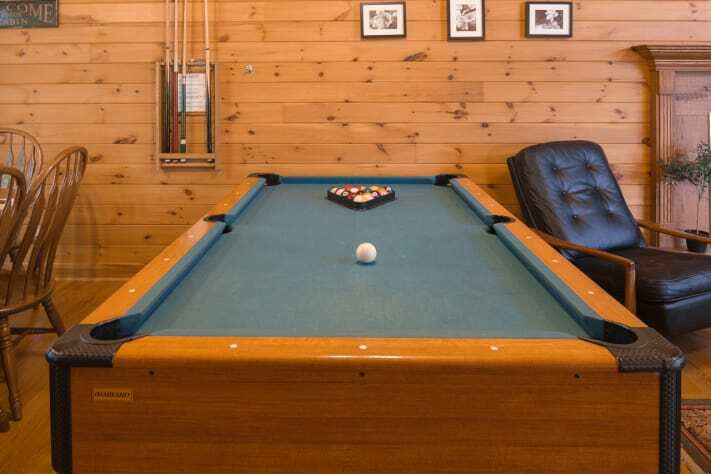 Notice in the photos, the owners have installed a HOT TUB COVER LIFT. 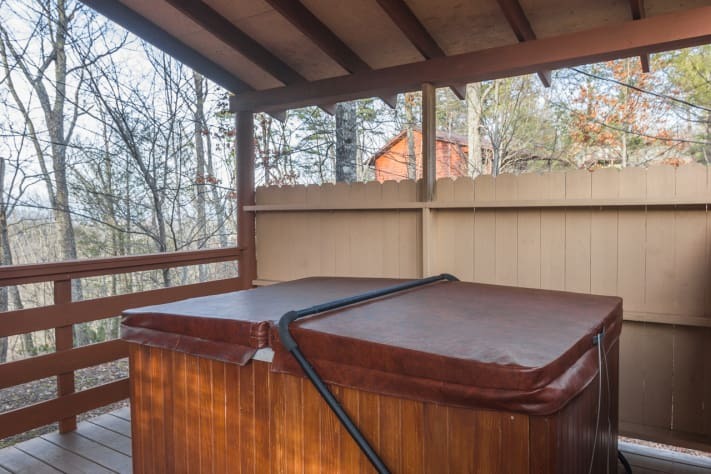 No having to heave a water-logged hot tub cover off and on each use. 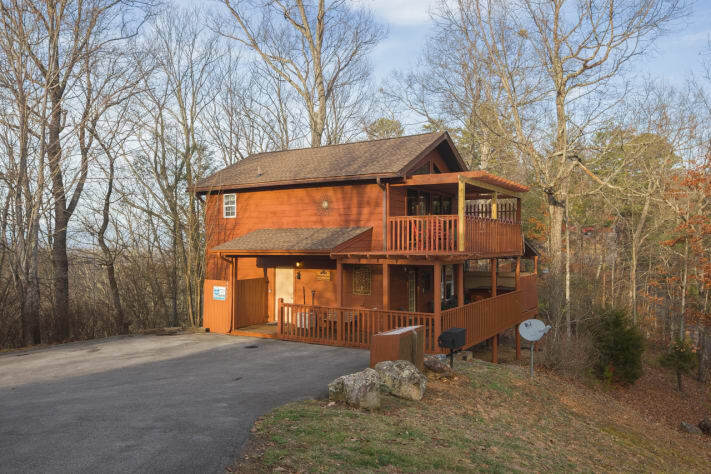 Take a walk up the sturdy wood stairway that leads to the upper living area and you'll first see the living area with a sleeper sofa, love seat, FLAT SCREEN HDTV, DVD player with MOVIE LIBRARY, year-round ELECTRIC FIREPLACE (does not produce heat) and POOL TABLE. Enjoy High Definition DirecTV programming. 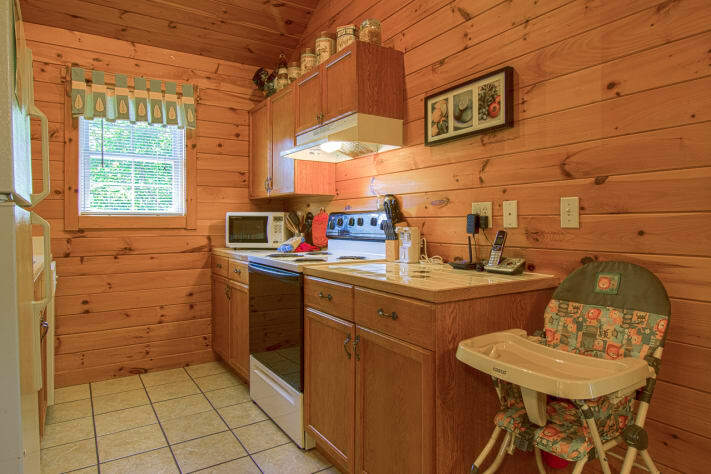 A convenient half-bath is also found on the upper level. 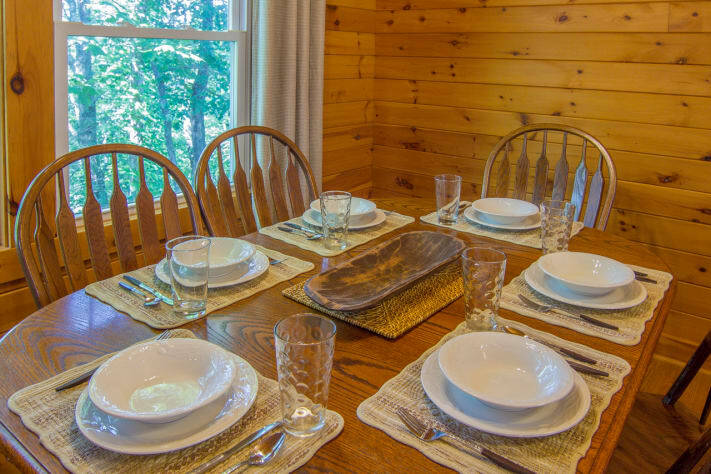 The kitchen and dining table are located on the far side of the room and allow you to make budget-saving meals at the cabin. 'We thoroughly enjoyed our vacation with great friends. 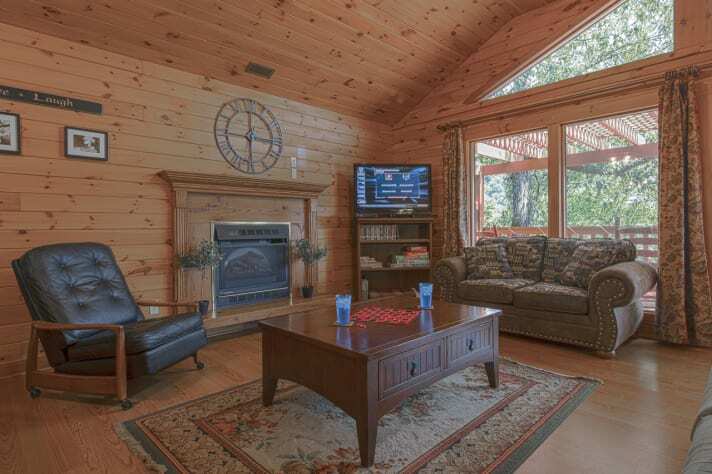 And the beautiful cabin made it even better. We were very impressed with the accommodations. Can't wait to come back!' R & L, Illinois. 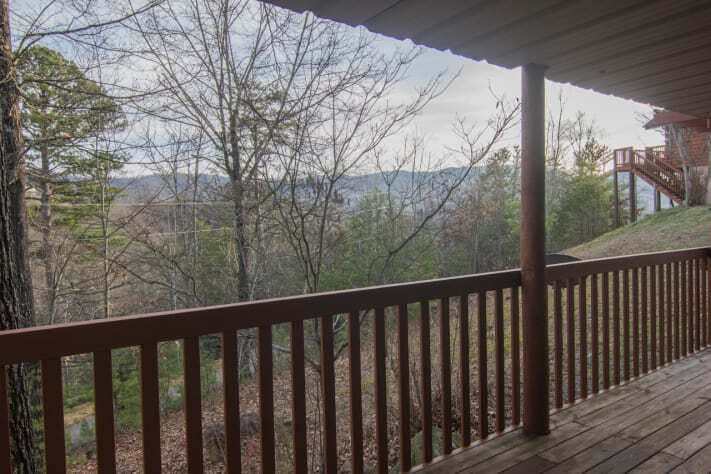 Best of all, the newly expanded COVERED DECKS give you a great vantage point to see the mountain range on the horizon. 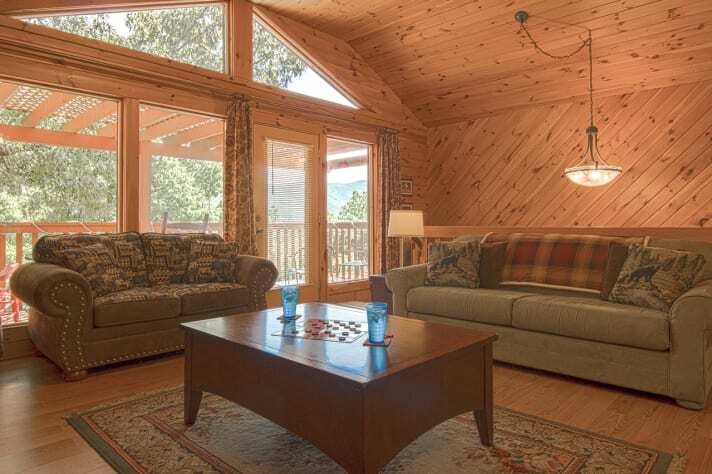 You just can't ask for a better place for morning coffee or an evening glass of wine. 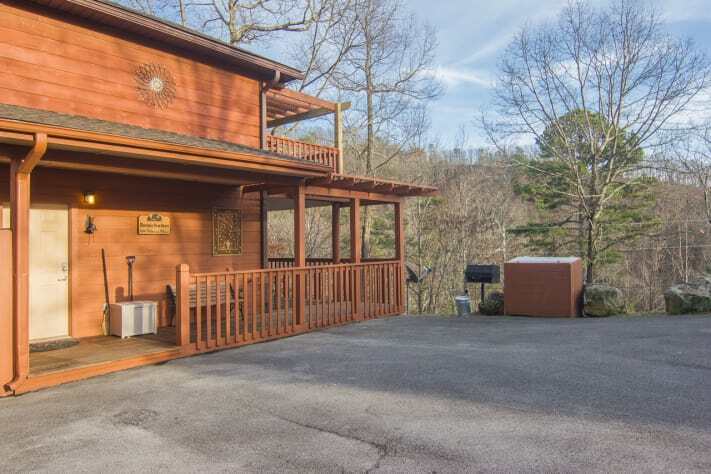 Come to MountainView Haven and take in the fresh mountain air and amazing views! 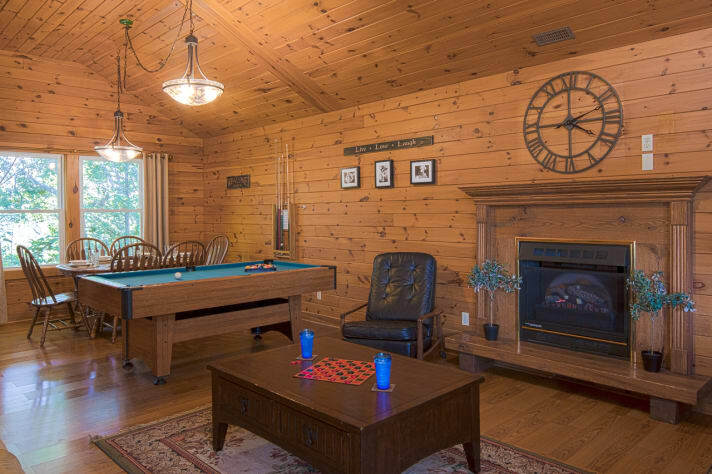 IMPORTANT LITTLE DETAILS: the electric fireplace is available year-round but it does NOT produce heat. 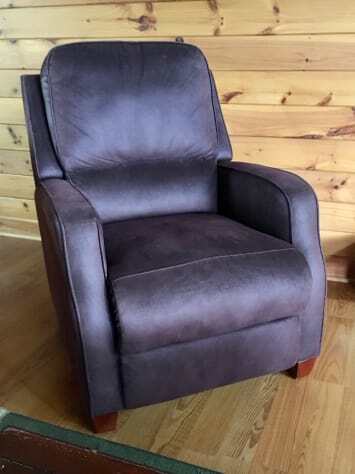 It's for ambience only. Pets (dogs only) are welcome with owner approval. Multiple dogs and some larger breeds will be considered on a case by case basis. All pets must be declared and approved in advance by the manager. 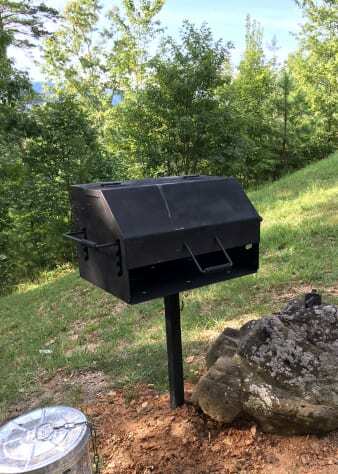 We ask that you crate your pet while gone from the cabin, if possible. Adult dogs only and they must be on a flea/tick program. 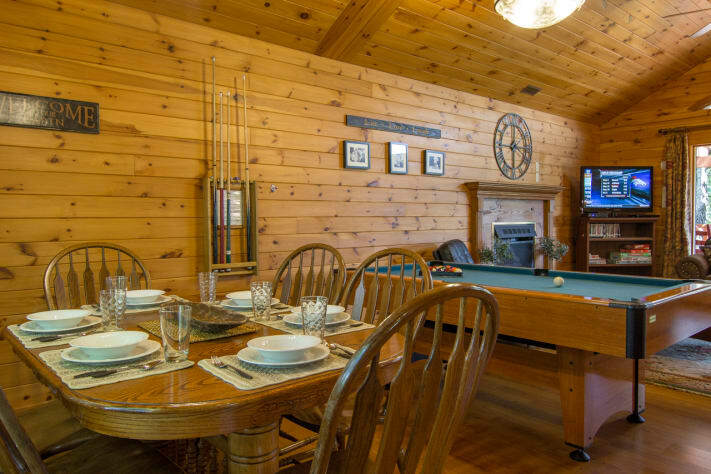 2 night stays considered during the off-season or when calendar permits.